We manufacture facing & centering machine for shafts and forgings. 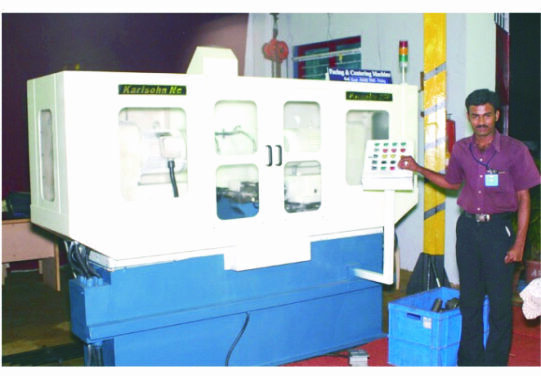 These Machines are manufactured in CNC and Conventional Versions. They Are Made in a Number of Models and Sized for Shafts Starting from 12 mm upto 20 MM with Hydrulic And Servo Clamping. These Machines are Used in a Variety of Components Like Motor and Pump Shafts, Automobile Parts, Textile Drive Shafts Etc. Customisation on Facing and Centering for Uneique Geometries and Advanced end Machining for Pipes, Tubes , Conveyour Shafts, Axles etc Our Expertise.